London is a popular location from which to hire a vw camper van. We have dozens of amazing vans listed by their owners for hire to their Camperbug visitors. Choose a van and send an enquiry, they can be rented for the weekend, for a week or even longer. These are wonderful vehicles to take on holiday and London is a well placed departure point from which to explore the rest of the Country and possibly Europe too if you're feeling adventurous! I am Henry II, hire me today! Henry is a 1979 VW T2 Campervan with a 1970s interior, a raising roof with a double bed which is large enough to sleep two adults (i.e. can sleep up to 4 adults in total, plus optional drive away awning) who lives in south-east London (Greenwich area). His 2 litre engine gives him plenty of oomph to get up those hills where necessary and unlike most 1970s campervans he is comfortable doing 70mph for those long journeys (on the flat anyway!) Recently fitted with a Webasto (petrol-run) hot air heater in the rear. For added safety, Henry comes fitted with an automatic fire extinguisher in the engine compartment and professionally fitted CO alarm. Chas is our lovely campervan. Enjoy your camping luxurious way. Chas has had a new interior and engine this year. Power Steering, Servo Assisted Brakes, Right Hand Drive + Solar Power Misty is probably the easiest vintage campervan to drive. You will instantly feel comfortable with Misty whether you are young or old. Winter Camping Ready! Webasto Night Heater, Power Steering, Right Hand Drive + Solar Power. Meghan is probably the easiest vintage campervan to drive. You will instantly feel comfortable with Meghan whether you are young or old. Lovely Lorin is a classy VW Campervan and we’ve lovingly fitted her with air con, fridge hob and sink, a double bed and table plus more! She’s eager to join you on your next adventure so drop us a message, today! 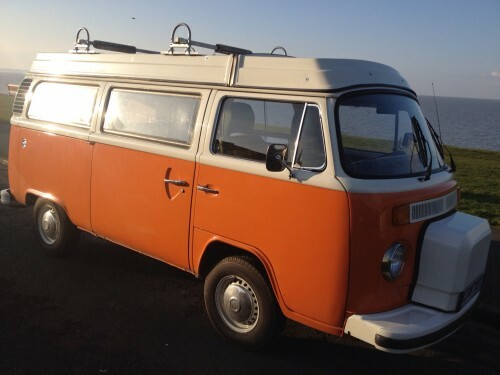 This is a pristine classic 1972 VW Campervan which is perfect for couples an family trips within South England. Volkswagen Westfalia Campers built in 1978 with original cupboards. A lovely T4 Camper that comes fully equipped. Comfortable sleeping quarters and ample storage space, a T4 is a fantastic option for comfy camping and reliable driving. Volkswagen danbury conversion imported from Brazil in 2005. Axle is a 2007 VW T5 converted in 2015. He's a 4 berth with a pop top roof with sleeping facility, Rock and Roll Bed, Fridge, Hob/Sink, Electric hookup, Leisure Battery, Rotating front bench seat and Pioneer Head-unit/Sat Nav. Volkswagen Westfalia Camper T25 1988 factory conversion.